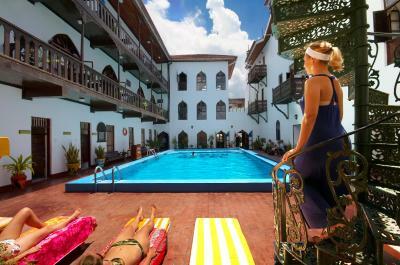 Lock in a great price for Tembo House Hotel – rated 8.4 by recent guests! Location was perfect and the rooms were comfortably basic. We stayed in the annex which was a quick walk to the main hotel. Breakfast was great, and the pool and rooftop lounge deck can't be beat. Sunsets were incredibly beautiful and the staff were all very accommodating. Safety in the hotel / freindly staff and the mangement team / cosy rooms / internet / food. We stayed on an annex building about a block away from the main hotel. It was very clean. 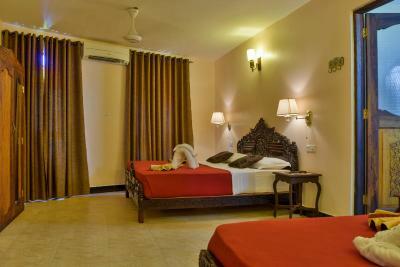 The Valentine room was large and nicely furnished with large wooden doors and a beautiful bath/shower. Staff was very helpful and friendly. Location was perfect, beautiful facilities, delicious food, gorgeous sunsets! Thank you for a wonderful time. The hotel Ambience is simply magical! The location is superb, right on a nice stretch of sandy beach where you will see local women swimming in the mornings. The beach beds and staff in general are very kind and friendly. Location is excellent. 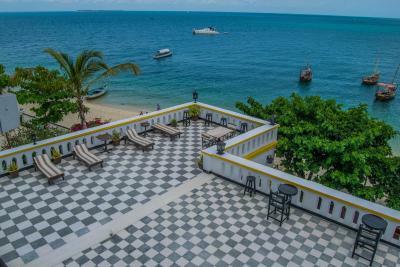 Classic charming hotel right on the beach in Stone Town. Dined on the beach with cool breeze watching the local activities. Food was excellent and staff friendly. Extra efficient staff. Mohamed in reception was particularly helpful. 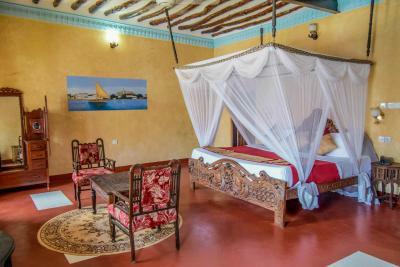 Tembo House Hotel This rating is a reflection of how the property compares to the industry standard when it comes to price, facilities and services available. It's based on a self-evaluation by the property. Use this rating to help choose your stay! 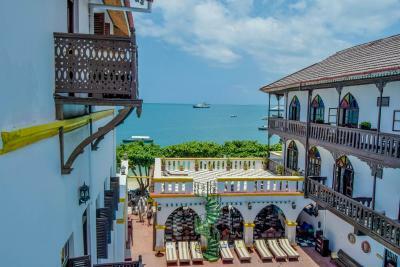 One of our top picks in Zanzibar City.Offering a pool and restaurant, the historic Tembo House Hotel is located in Zanzibar City, a 3-minute walk from the Old Fort and House of Wonders. Free Wi-Fi access is available. 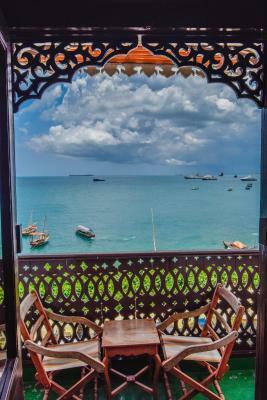 The hotel's Bahari Restaurant offers local as well international cuisine. Room service is available and packed lunches can be arranged. 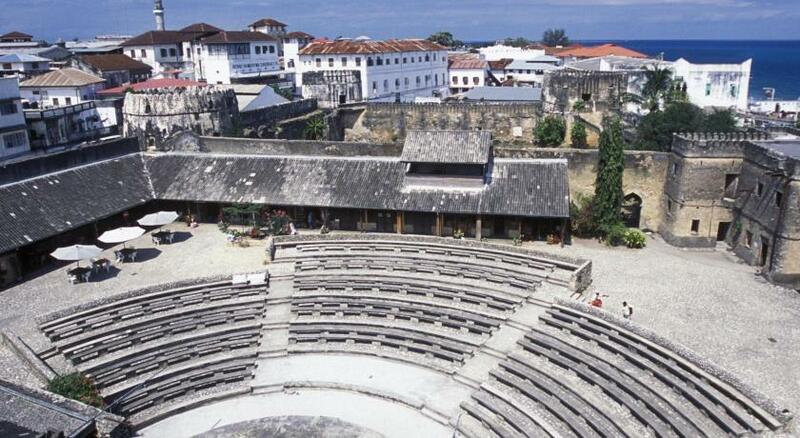 Zanzibar port is a 5-minute drive away and the Zanzibar International Airport is 5 mi from Tembo House Hotel. When would you like to stay at Tembo House Hotel? This air-conditioned suite features a sea view or beach front balcony, a seating area, hammam bath and shower. It offers complimentary drinking water and tea-and-coffee making facilities. Located across the road from the hotel at the Freddie Mercury house, these spacious 2-bedroom units feature a balcony with city views, an Arabic-style seating area with cable TV, a kitchen, tea-and-coffee making facilities and complimentary drinking water. 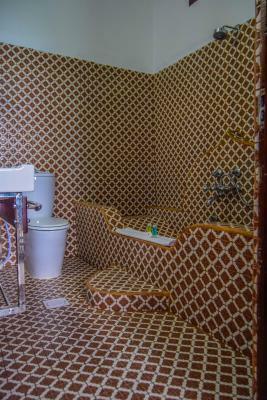 This single room features air-conditioning, satellite TV, a seating area and ham-mam bath with shower. It offers complimentary WiFi , drinking water and tea-and-coffee making facilities. 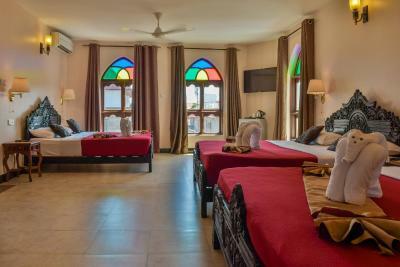 This Twin room is located across the road from the hotel at Annex of tembo hotel. The room features a mini-bar, air conditioning and satellite TV/cable TV. Tea-and-coffee making facilities and complimentary drinking water are also provided. 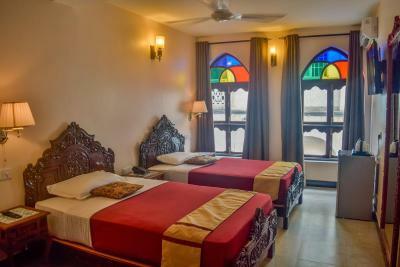 This double room is located across the road from the hotel at Annex of tembo hotel. The room features a mini-bar, air conditioning and satellite TV/cable TV. Tea-and-coffee making facilities and complimentary drinking water are also provided. 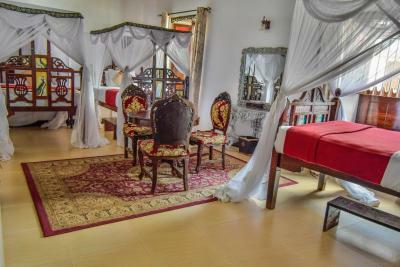 This Triple room is Located across the road from the hotel at Annex of tembo hotel. The room features a mini-bar, air conditioning and satellite TV/cable TV. Tea-and-coffee making facilities and complimentary drinking water are also provided. 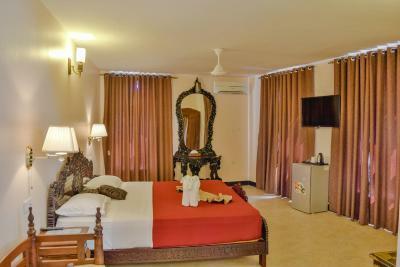 This Family suite is Located across the road from the hotel at Annex of tembo hotel. The room features a mini-bar, air conditioning and satellite TV/cable TV. Tea-and-coffee making facilities and complimentary drinking water are also provided. 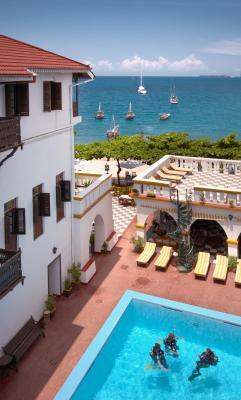 Tembo House Hotel & Apartments is situated at the heart of Zanzibar Stone Town by the picturesque seafront. The magnificent main Building has had various functions over the past centuries Between 1834 and 1884 it served as the American Consulate. 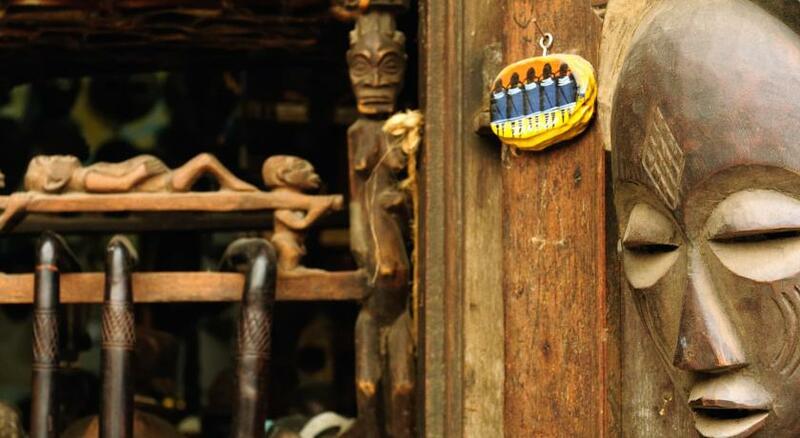 House Rules Tembo House Hotel takes special requests – add in the next step! Tembo House Hotel accepts these cards and reserves the right to temporarily hold an amount prior to arrival. 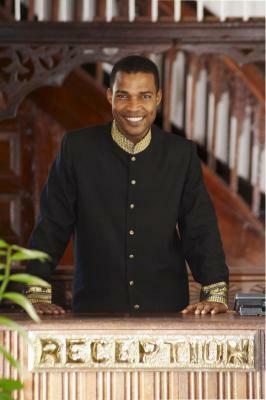 Please inform Tembo House Hotel of your expected arrival time in advance. You can use the Special Requests box when booking, or contact the property directly using the contact details in your confirmation. 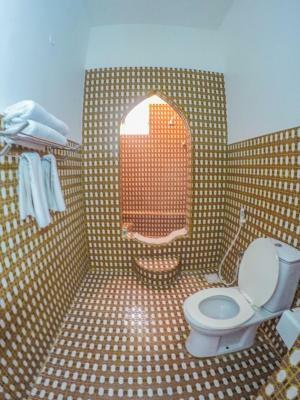 Rather dated in decor. We had to watch tv through wooden bedpost design Badly in need of redesigning rooms. Pool hours should be revised... noise from pool is annoying first thing in the morning. The staff were very nice and helpful, breakfast was delicious and the buffet was set on time. My kids and I thoroughly enjoyed our stay and will definitely come back. A good holiday hotel for the family. Their annex was disappointing but we were happy when they swiftly gave us an upgrade to a very comfy double room on the main hotel. Their breakfast was superb! An array of freshly squeezed juices! Restaurant was bad, I do not recommend eating dinner in this hotel, there is many good restaurants near, breakfast was still great. Breakfast was great, many different options. Our room had a very distinct mold smell which really bothered my allergies. The breakfast was a little disappointed the first day, nothing to bad, we were about to have an omelet and some toast. The second day.... there was a large insect in some veggies that my friend had. That was very off putting. We didn’t eat anything else there after that. The location couldn’t have been better. We really lucked out with this hotel. It’s right in the middle of all the beach hotels so everything was very near. 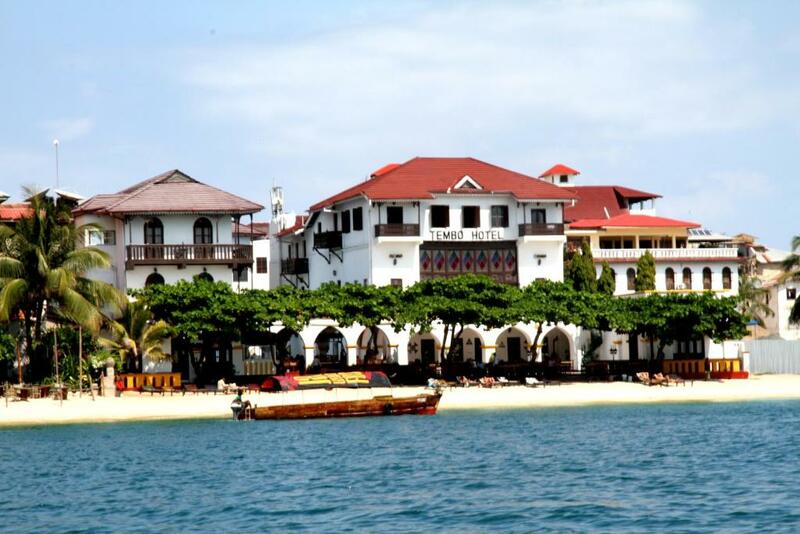 The entire Stone Town area is walkable from this hotels location. The best restaurant in town is a quick 50 step walk from here. Great location. Food available 24/7. It was an alcohol free site which was a shame because it was located next to the sea and it would have been nice to have been able to have a glass of wine in the communal area. the way the staff members treat the clients was excellent, we felt like kings and queens, the facilities were also very good we felt very welcome, comfortable and at home. Kassim at reception was great. Gave us a great room. The location of the other building is scary in a narrow corridor and there is no elevator and the stairs are not good, and the bed sheets not clean the noise is very loud. The room could be a bit more comfortable and better iluminated. Our room was right next to the kitchen, where a water pump was working all the time a bit noisily. The hotel is in a historic building, which I like (although I acknowledge this is irrelevant to many travellers). 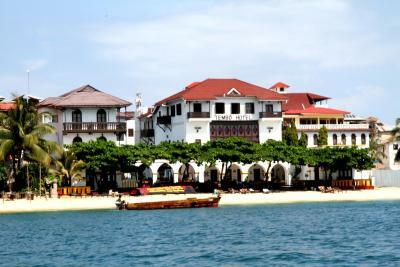 The location is great, in Stone Town and right on the beach.